Mel, my husband has finally retired and has had in total six celebrations of this event. I decided to wrap this up by providing a cake for a morning tea! The cake was a a fruit cake topped with sugar fondant. I modelled a figure from gumpaste and placed him on the cake. The figure was complete with hard hat and safety vest. In 2003 when the drought was particularly bad he had been involved in a project in the Broken Hill [Silver City] region of NSW, Australia. 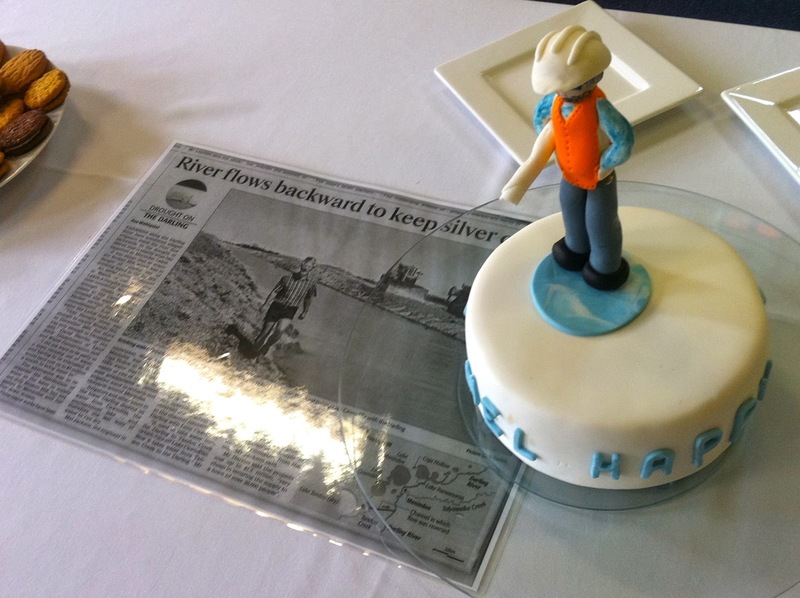 I had the newspaper article enlarged and laminated then placed the cake on a glass plate on top of it.